Huma Qureshi celebrated Ganesh Chaturthi wearing a pastel blue lehenga by Anita Dongre paired with silver jewelry from Silver Streak. Center parted bun enhanced with mogra finished out her look! 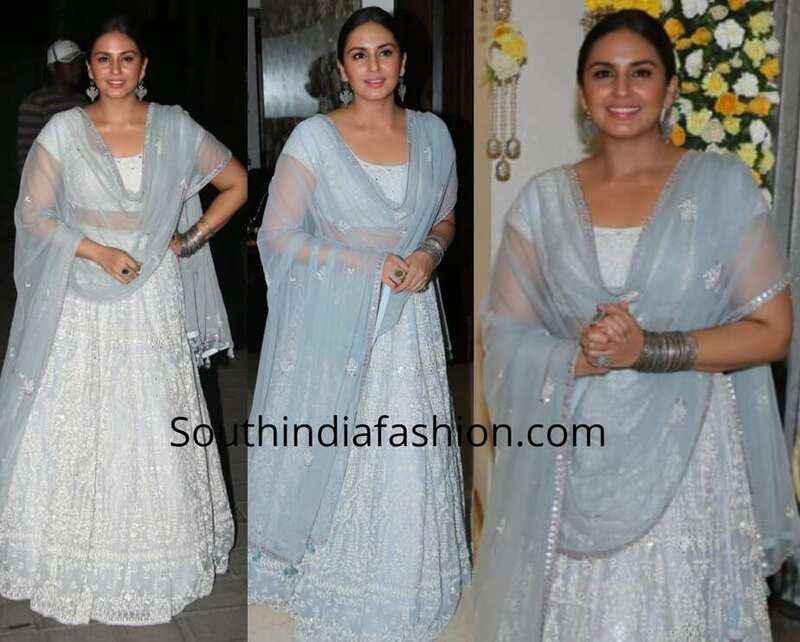 The post Huma Qureshi in Anita Dongre lehenga for Ganapati celebrations appeared first on South India Fashion.